This plugin allows you to easily and quickly evaluate posts (+/-) using a MyBB reputation system. Module known from IPB. 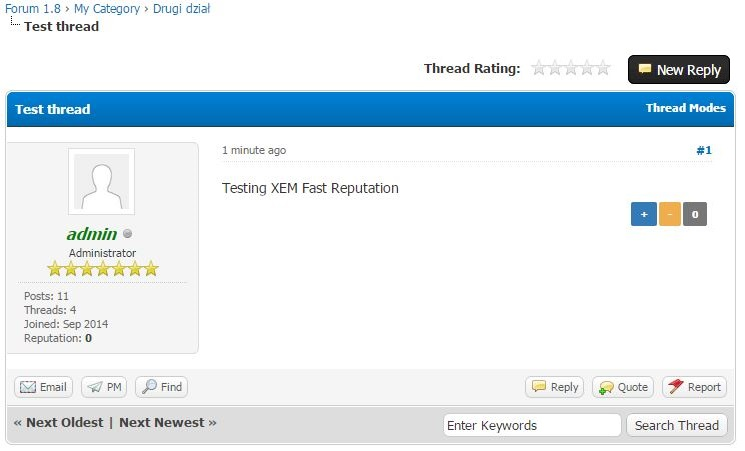 XEM Fast Reputation is a plugin familiar to users of IPB, allows rapid evaluation of posts. This extension I use the built in MyBB reputation, so it quick and does not burden the server. Performs only one additional SQL query to retrieve and process information about liked posts. Evaluate the posts can be positive (+1) and negative (-1). We can always change your assessment of the post or cancel it completely. Note! To plugin worked, MyBB reputation module must be activated in the ACP! This plugin requires PHP version 5.4 or higher! Download always the latest build! 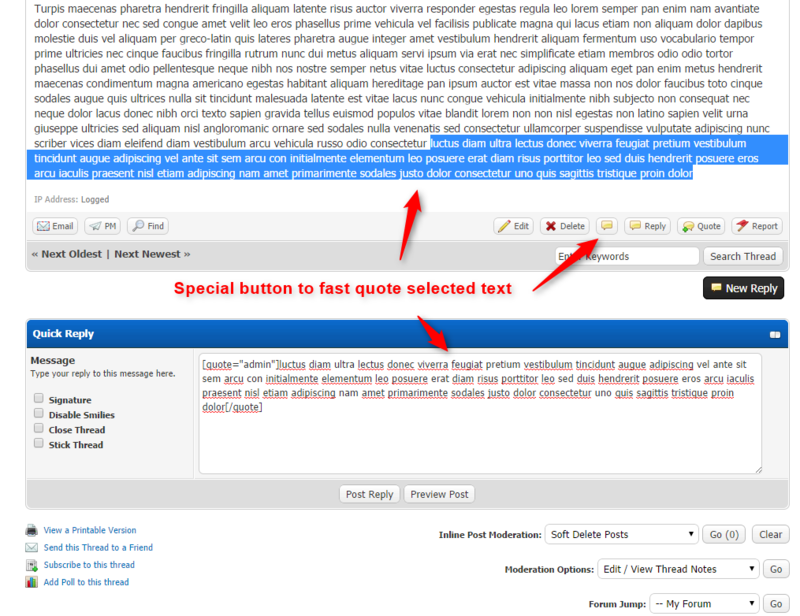 This plugin provide very fast quote option - select text and click button! Quote has never been so easy! Adds a Caption below the avatar. Anstelle Upgrade Installation gemacht...Brauche Hilfe bei Wiederherstellung. Die Datenbank WBB 3 / Lite 2 konnte nicht unter X gefunden werden.